The Awaken showerhead brings KOHLER quality, design, and performance to your bath. An advanced spray engine provides wide coverage and thorough rinsing. The artfully sculpted sprayface reveals simple, architectural forms that complement contemporary and minimalist baths. Full-coverage spray produces an encompassing spray for everyday use. The 72 Individual MasterClean<sup></sup> spray nozzles on this 5-1/2 In. diameter spray-face provide outstanding coverage. 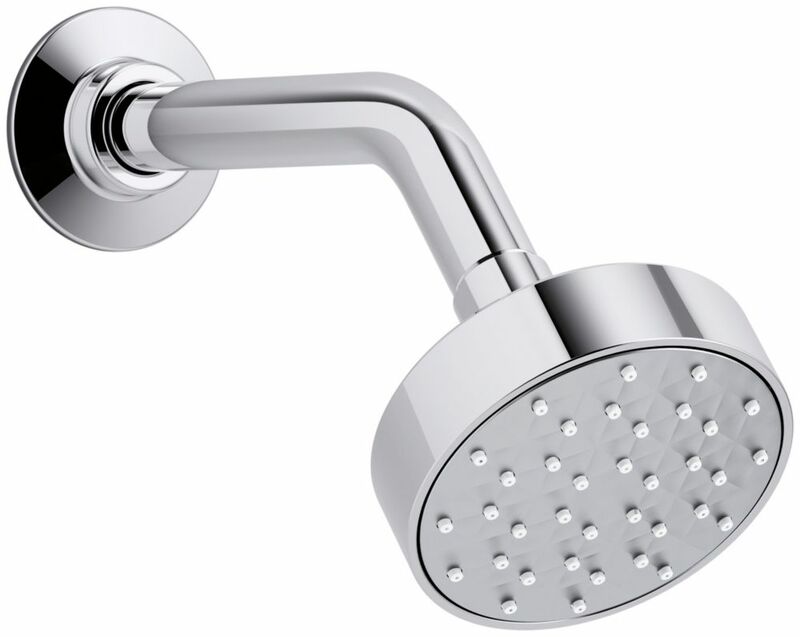 The showerhead integrates with the Forti<sup></sup> faucet collection and resists hard water buildup while providing water flow of at least 2.5 gem. Its Vibrant PVD colour finish options resist scratches, tarnishing and corrosion. Also available in store by special order only see store for details. This Loure single-function showerhead brings innovation to your bathroom with Katalyst, a cutting-edge technology that intensifies the flow of water for a completely indulgent showering experience. With a new nozzle pattern, internal waterway design, and air-induction system, this technology maximizes every water drop and creates a richer, more intense flow of water that heightens the shower's sensory experience. By infusing two liters of air per minute, Katalyst delivers a powerful, voluptuous spray that clings to the body with larger, fuller water drops. This MasterShower showerhead puts three distinct, invigorating sprays in the palm of your hand. Simply turn the outer ring to switch sprays for a rejuvenating shower experience. The wide pulse spray envelops and revitalizes, while the wide strong spray delivers an all-over deep body massage. The concentrated pulse spray helps ease aches and pains in targeted areas of your body. Awaken 1-Spray Showerhead In Polished Chrome The Awaken showerhead brings KOHLER quality, design, and performance to your bath. An advanced spray engine provides wide coverage and thorough rinsing. The artfully sculpted sprayface reveals simple, architectural forms that complement contemporary and minimalist baths.